Ships today if you order in the next 11 hours 7 minutes. 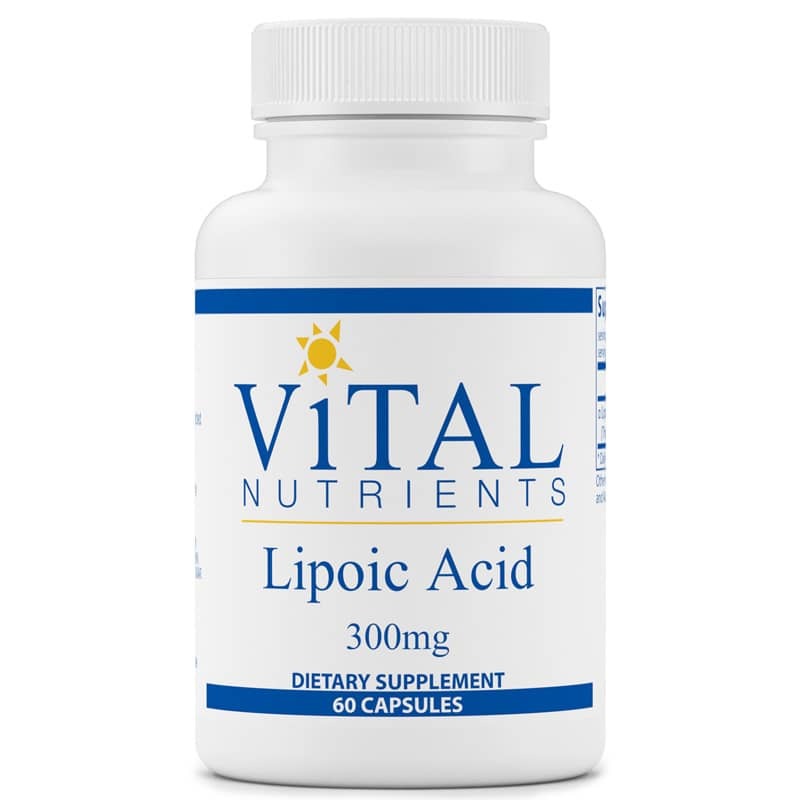 Lipoic Acid 300mg by Vital Nutrients is a natural antioxidant supplement that helps to produce energy in muscles, and maintains blood sugar levels that are already within the normal range. Lipoic Acid is a necessary component of the glucose-pyruvate-ATP pathway, creating energy production from calories. It is a powerful antioxidant and plays an important role in supporting healthy vision and nerve function. 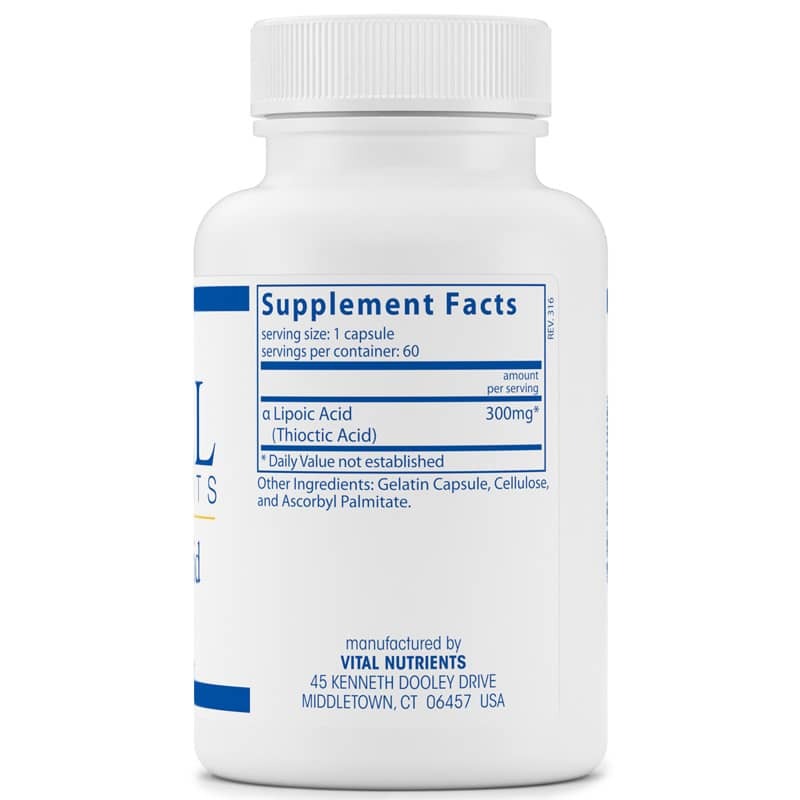 Lipoic acid is a potent liver detoxification supporter and protector. Other Ingredients: gelatin capsule, cellulose, ascorbyl palmitate. 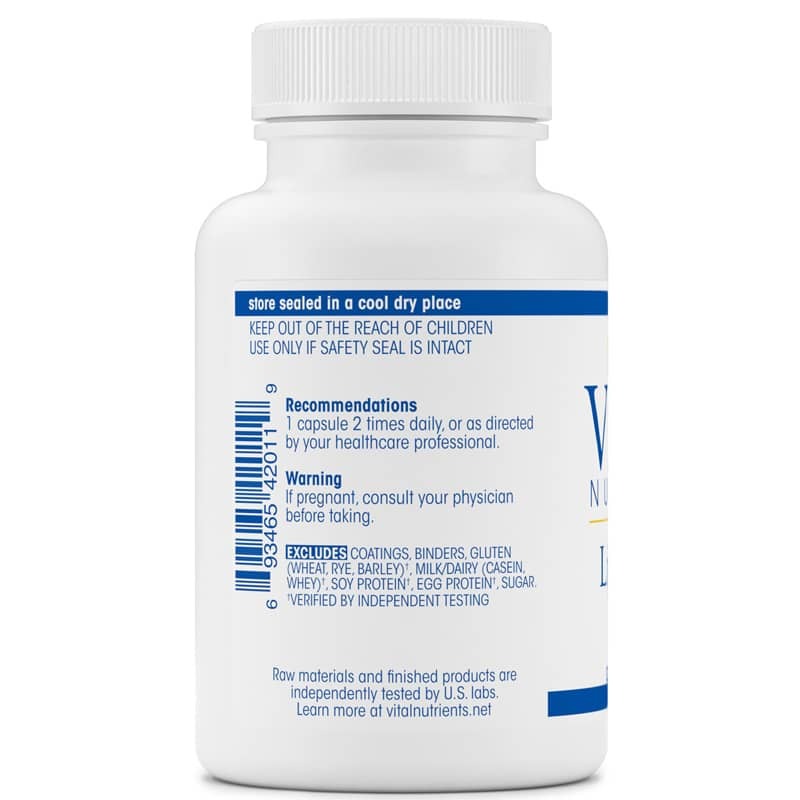 Adults: 1 capsule twice daily, or as directed by a healthcare practitioner.